As per our previous post you already know the value of Python and how to start learning Python. When you start to learn it by yourself, you need lots of tutorials or guides. But, don't worry, initially you don't have to pay for it. Cause you'll find thousands of free tutorials online. From Python's official site to developer blogs, the resource is unimaginable huge. 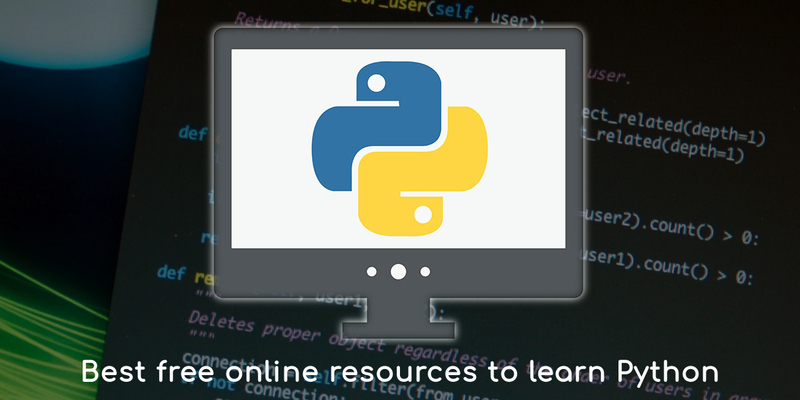 In this geek story we gathered 10 best resources to learn Python at free of cost. This is the website for Python official documentation. You'll find plenty of references, materials, and resources on working with the language. They offer one of the most comprehensive tutorials for novice coders. It will take you through the beginner stages to the expert level. This portal is best suited for beginner to intermediate coders. You can directly practice in your browser and see the results pan out live. This is useful for the beginners, because it eliminates the need to setup a development environment for practice exercises. Due to the nature of the material, this is best suited for intermediate to experienced coders. The documents clearly explain various concepts related to Python, but it's more about theory as opposed to the practical application of it. It provide a platform, where you can learn by doing. This website allows you to participate in interactive tutorials and you get to work with the Python right in your browser. On the site, you'll find a long list of Python coding guides and snippets that you can use in your own projects. The site is ideal for Python developers of all skill levels, even for the experienced developers. This is a great place to find a variety of Python-centric resources and tutorials. All content is separate into categories by skill level, tutorial type, and platform. They offer free Python ebook and also offer online version which can be accessed from any device including mobile, and is always free. They offers online textbooks for beginner and intermediate level coding classes on Python. All books are free to access and use, but you have to register for an account. You can also find Python programming examples at free of cost from our python programming section. Python's popularity has been growing consistently over the past few years and there is no indication that the language will soon disappear. If you want to learn a highly versatile and powerful language, it's never too late to give Python a shot.